A Wigan Warriors youth team player has been banned from getting behind the wheel after admitting drink-driving. 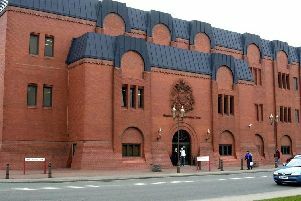 Craig Mullen, 21, of Lambton Street, Pemberton, pleaded guilty to failing a breath test when he went before Wigan magistrates on Wednesday morning. 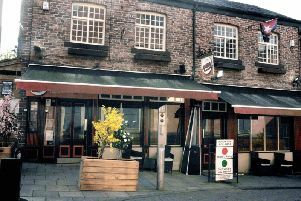 The court heard he had been out with friends in the early hours of Monday, March 25 when CCTV operators in the town centre contacted police as they suspected he was drink-driving. Officers stopped the Vauxhall T-Roc on Walter Scott Avenue, Whitley and he was arrested after failing a breath test at the roadside. The lowest reading given was 44 microgrammes of alcohol in 100ml of breath. The legal limit is 35. Magistrates were told Mullen was remorseful and was disappointed that internet searches now highlighted his arrest, rather than his work in the community. He had no previous convictions and had been fined £1,000 by Wigan Warriors after this incident. Justices imposed a 12-month driving ban, which can be reduced by 13 weeks if he completes a rehabilitation course. Mullen was ordered to pay a £200 fine, £30 victim surcharge and £85 prosecution costs.